In the summer, when gazing at the distant woods, it’s hard to tell the thin and wiry Tamarack Trees from their sturdier neighbors, the Spruces and Balsam Firs. All are a mass of green-needled branches. 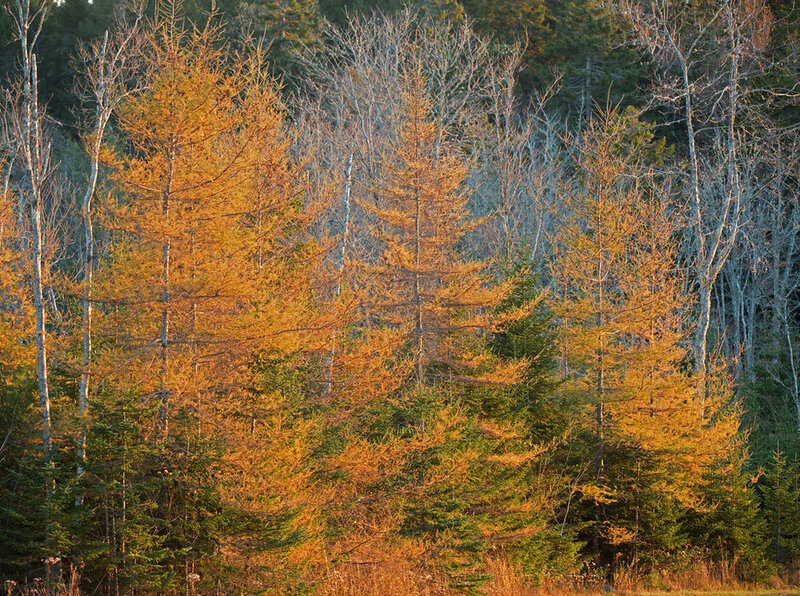 But at this time of year, the Tamaracks confess their secret: their needled branches flare into yellow incandescence and then the needles let go and drop like sprinkles of gold. These trees are different; they’re not really evergreen, they’re “deciduous” To be sure, they produce and drop cones, as do Spruce and Fir, (they’re “coniferous”), but each Tamarack produces both male and female cones (they’re also “monoecious”).